With primeurs the choice is broad, and there's definitely no need to confine oneself to a limited array of wines (that need to be pushed). No, we visit Bordeaux for a full week, taste a shipload of wines, and then I share my personal thoughts with the readers of this blog. My preference? Pure, terroir-driven, classic and elegant wines. Of course with an exciting exception here and there, for variety is the spice of life. And I am a salesman. This time I won't point out the great value wines, I will look at some alternatives for the premier crus, for those readers who simply want the best without spending a 1000 euros on a bottle of wine. We look at the Médoc, the home of most premier grand crus. Two monumental wines, not to miss for the true collectors, are Ducru-Beaucaillou and Léoville-las-Cases. Both released with a price lower than last year, while quality is outstanding. Look at almost-premier-cru Léoville-las-Cases for example: its terroir is adjacent to Latour, on a very comparable gravel croupe. And it is sold at a fraction of the price (yet still around 260 euros). Then there's brilliant Pontet-Canet of course, so pure and beautiful, but hard to find in the meantime. So what are the not-to-miss 2010 Médoc classics? For example these two: Grand-Puy-Lacoste (simply excellent) and Léoville-Barton (I don't dare to say Value for Money). And if these are still too expensive, look at the related Clos du Marquis and Langoa Barton. These, and more offers can be found on www.bordeaux-2010.nl. It's late, I'm going to continue in the new TONG Bordeaux issue. I will write some more about this great magazine in a later posting, but I can already say that this new TONG issue is a must-buy for all Bordeaux lovers. No commercial interest here. Just an opinion, subjective, but straight from the heart. 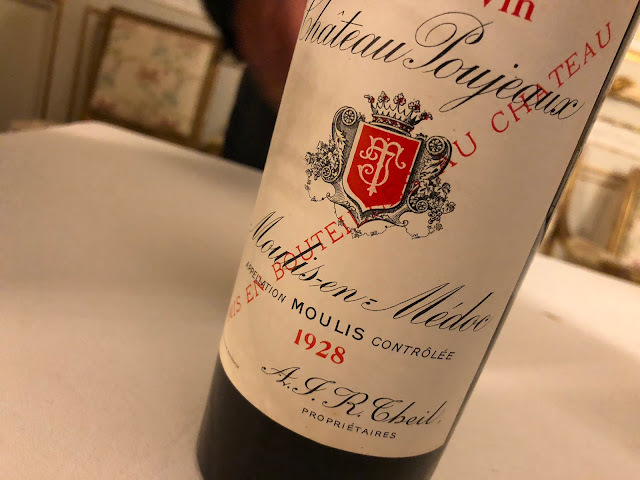 When will you write a Bordeaux 2010 wrap up and look back to your earlier postings on the future of top Bordeaux and prospects for the 2010 vintage ? Dear Jan, I'm not sure yet. Think I will write something about which wines sold well and which not (etc. ), but that might be somewhere later in August. I will first pay a visit to Bordeaux (early August) and get some new inspiration there!